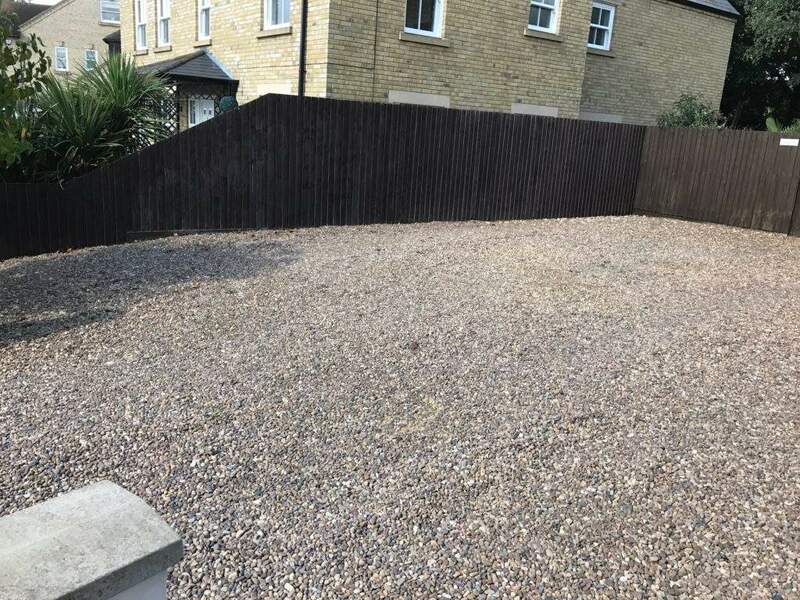 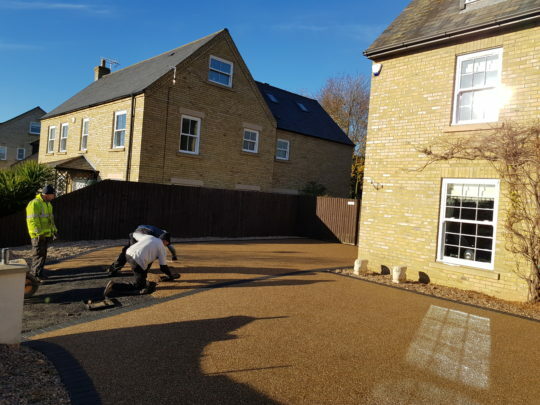 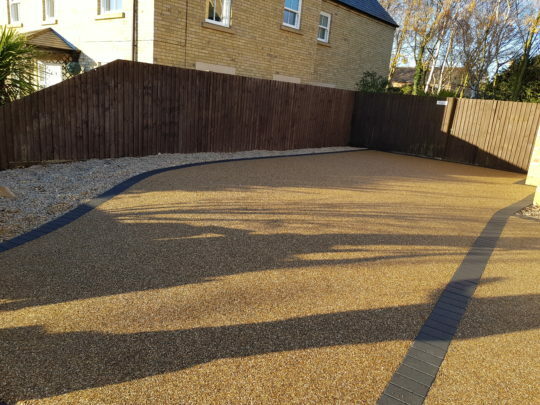 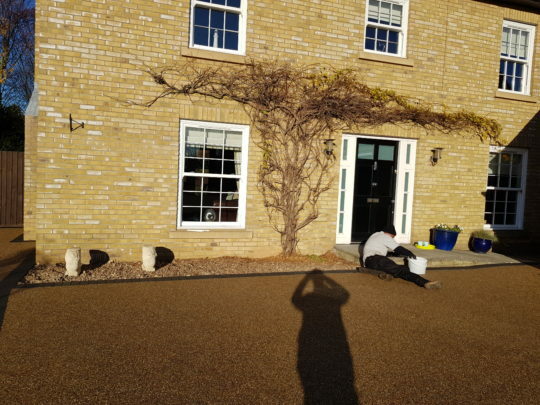 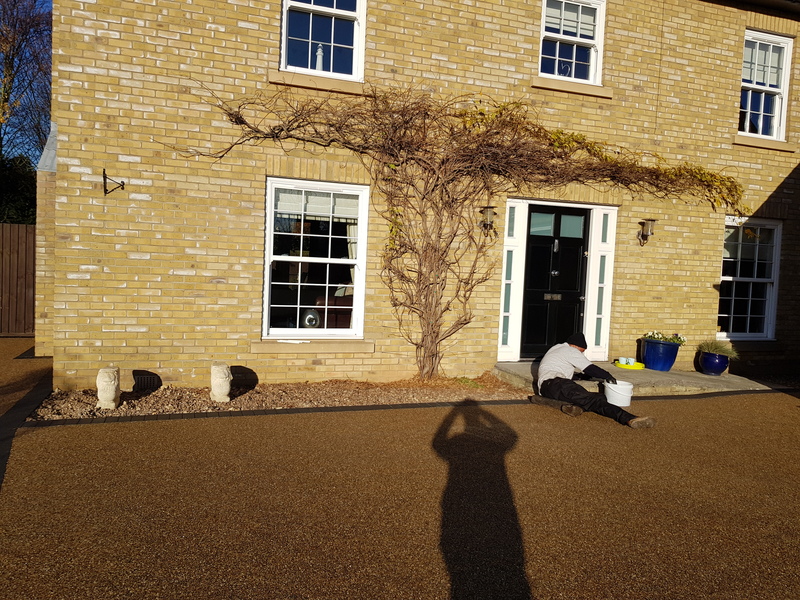 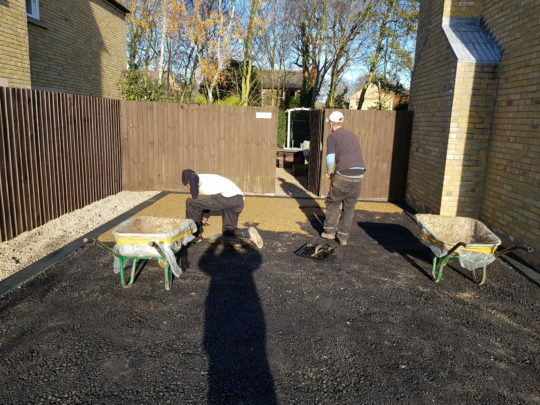 Our clients wanted to replace their large loose gravel driveway with a resin bound installation as they found the loose gravel hard work and wanted something attractive and less maintenance. 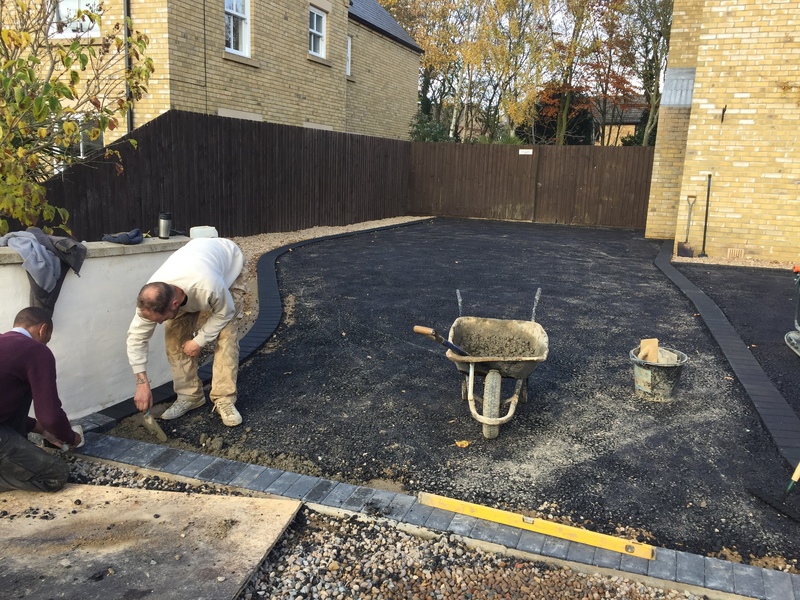 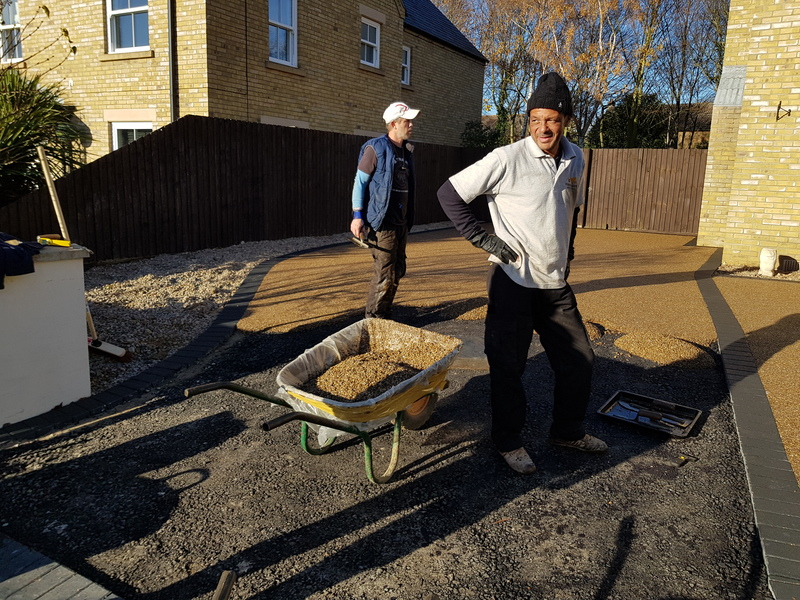 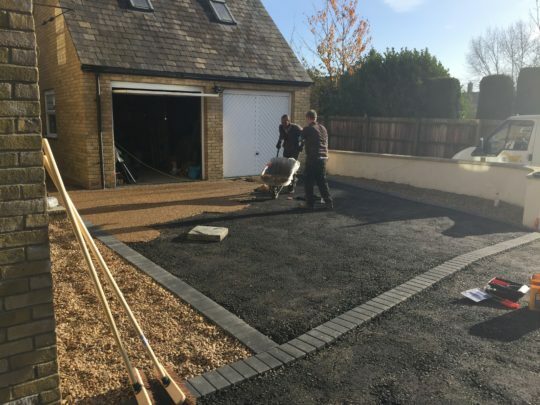 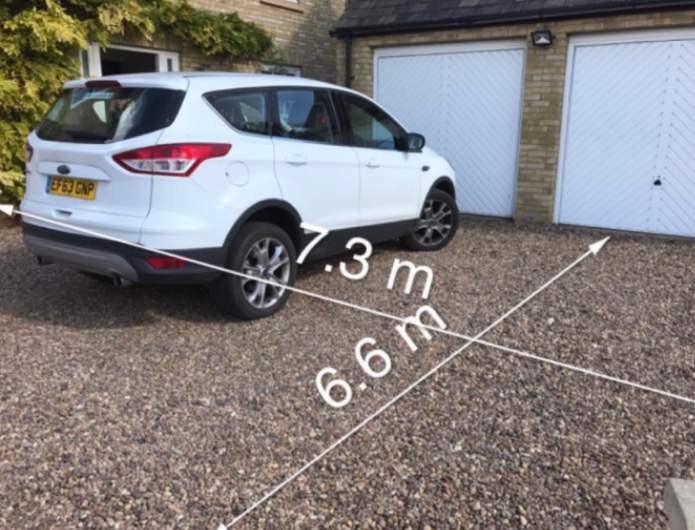 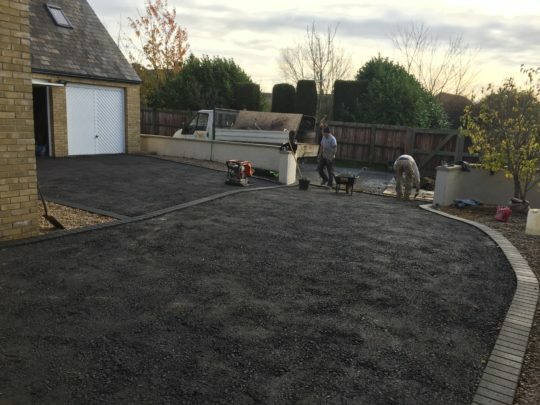 The driveway was split into two sections to make the drive look less “carpark” like and a block edging was installed leaving a border at the entrance where loose gravel could be used to also break up the materials. 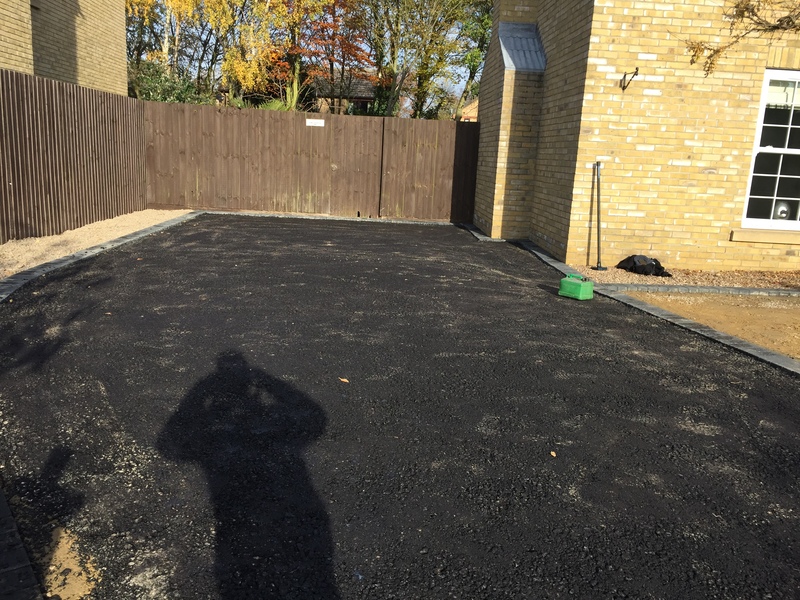 New type-1 Hordcore was installed and compacted and finished with a bitumen top. The area was then compacted again and left ready for Resin installation. 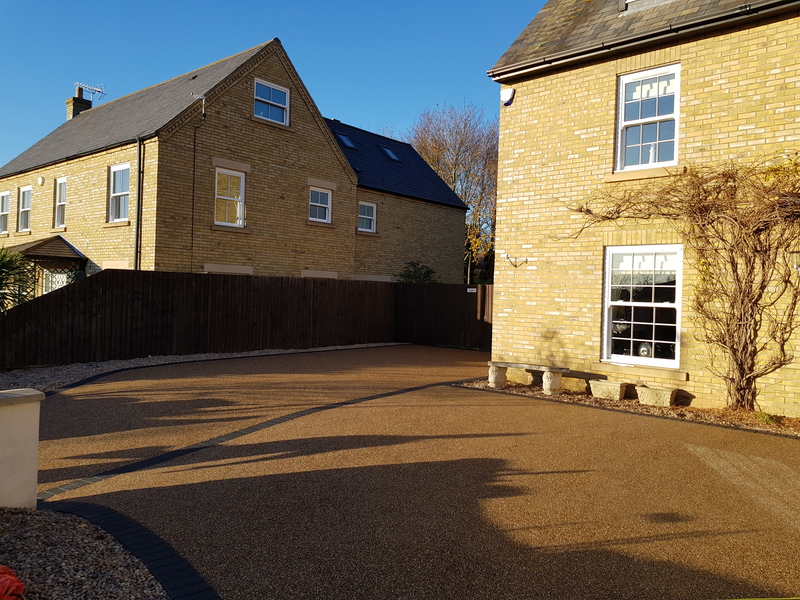 Golden Pea aggregate was chosen and a mixture of 1-3 and 2-5mm was used, trowelled at 18-20mm for vehicular traffic is UV resistant resin.